Did you know Funeral Homes must provide you with a current price list that describes all the goods and service they offer and that this price list must be provided without cost or obligation? And, by law, all funeral homes must follow the same format in their price list. This assists the consumer to be able to compare and contrast the prices and selections fairly. However for many people the price list can still be confusing. The best way to directly compare cost, is to shop around ahead of time and work with the funeral home and licensed funeral director you are most comfortable with. Here are 9 ways to ensure you get the full value from your funeral plan. Obtain the price list from the funeral homes you are considering. You can go to the funeral home and ask for one or phone the funeral home and ask them to mail you one. Phone the funeral home and ask for an itemized quotation for the type of funeral you are considering. This quotation can be sent to you electronically or by mail. Comparison shop on line. Most funeral homes have a website and some even post their prices for the goods and services offered. Doing some work ahead of contacting the funeral home helps you understand the language and selections available for different types of funerals. If you are considering cremation ask about cremation casket options. 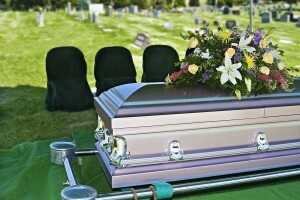 Every funeral home must offer an inexpensive casket that is solid, rigid bottom, and combustible. The types of material used in cremation caskets can be particle board, fiber board, plywood, or cardboard. There is a caveat here, in that if a person weighs more than about 250 pounds, the body will not fit into a typical cremation container. In this case a casket will need to be purchased. If you are considering earth burial, be absolutely certain that the cemetery by-laws state that a vault is mandatory. A vault is an outer container that is placed in the grave first, then the casket is lowered into the vault, then the vault lid is lowered into place. The vault serves to protect the casket, and support the weight of the earth on top of the grave. Vaults range in price from $900.00 to $3,800.00 and are usually made of concrete or reinforced concrete that is lined with a vinyl coating, stainless steel, bronze or copper. Decline embalming. The cost of professionally embalming a body ranges from about $250.00 to $650.00. There is no legal obligation to have the body embalmed; yet again there is a caveat. If the family wishes to have visitation the Public Health authorities may order that a body be embalmed if the decedent died of an infectious disease such as SARS or Creutzfeldt-Jakob disease. Buy a casket elsewhere. Funeral homes have a wide selection of caskets to select from, ranging from around $700.00 upward. Some public retailers are now offering caskets for sale. I think the issue for most people is how would they transport the casket to the funeral home? If they are not able to deliver the casket themselves there will be costs involved to rent a vehicle, or pay someone else to deliver the casket to the funeral home. Another option is for a family member to make the casket for the decedent. Again do most people have the availability to do this and deliver the casket to the funeral home? Buy an urn elsewhere. It is not mandatory to purchase an urn. Cremated remains come back to the funeral home inside a plastic bag; this is inside a cardboard box or plastic container. The size of this container is about the size of a large tissue box. If the decedent had a high bone density there may be more than one box of cremated remains. The volume for the majority of cremated remains is around 1 to 1.5 L. You can provide your own container and request that the cremated remains be placed inside of your container. If you saw the movie ‘Bucket List‘ you know the type of container that is referred to here. Donate your body to science. This is an option that many people think will by-pass the cost of a funeral. However there are acceptance criteria in place that the decedent must meet before the medical school will accept the body. Usually if a person had cancer the body will not be accepted. There are also costs associated with this as the family must pay for the transfer of the decedent to the facility accepting the body. In Ontario last year the average funeral cost was $8,800.00. The range in funeral costs can be from $1,500.00 to $22,000.00 and upward. 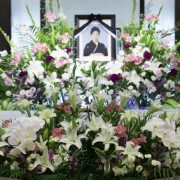 Many people do not want to pay more than they have to for a funeral. The best way to contain funeral costs is to prepay your eventual funeral. Specific provisions in the Funeral, Burial and Cremation Services Act, 2002 and the accompanying Regulations, mandate that funeral homes in Ontario must guarantee the future cost of prepaid goods and services, when these items are paid for in full. Therefore, doing your homework and making the comparisons, you can be assured you are getting the best value from your pre-paid plan. I welcome your feedback. You can reach me by phone or email, leave a comment right here on the site, or click the contact tab at the bottom of the screen if you are reading this post on the website. Do You Have a Dormant Bank Account? What is a State Funeral & How is it Organized?